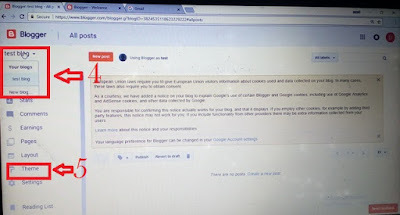 Backing up a Google Blog (BlogSpot). Before we look at the importance of backing up data, let us know what blogger is. 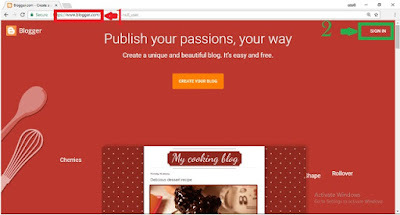 Blogger is a free platform created by the most valuable company Google which allow you to write and upload articles called “blog post”. These posts can be kept private or be made public for everyone to view or read. Those blogs can range from news, how-to do things (such as cooking, swimming, etc), business, and much more. Backing up data on your blog is very important. Although it is highly unlikely for Google’s servers to crash and all your data gone, it is a good habit to backup every time you want to make a change on the theme, layout, etc or after you have made the change. 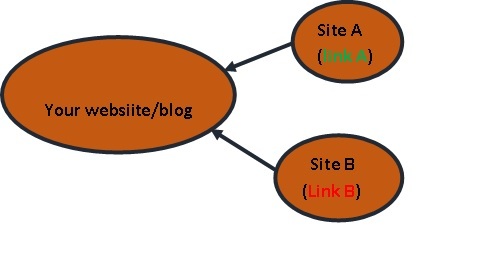 You can even do this on your blog after you might have uploaded a new post. 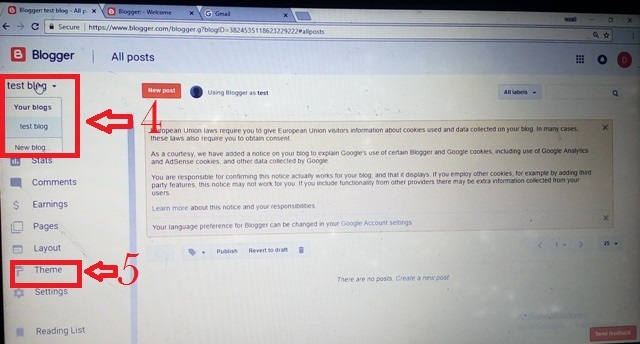 This is because you don’t want to mess up the appearance of your blog or mistakenly delete posts and other thing just to discover you can’t get them back. Backing up data on your blog is very important. Although it is highly unlikely for Google’s servers to crash and all your data gone, it is a good habit to backup every time you want to make a change on the theme, layout, etc of your blog or even upload a new post. 2. Check the top-right corner of the page and click on sign in. 3. 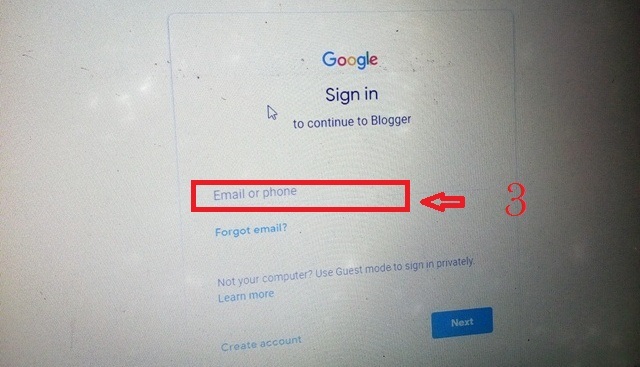 Type in your Google mail address (gmail) and password and click next to login. 6. Check the top-right part of the page again and click on Backup/Restore. 7. A pop-up window will appear, locate and click on Download Theme. 8. A copy of your theme, current settings and blog posts will be downloaded and saved on a directory on your computer. You can choose to copy into a flash drive, save it in an email, etc. 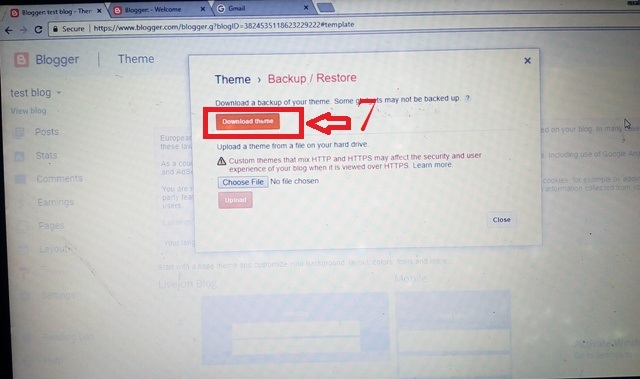 That is how simple it is to backup a BlogSpot Blog. 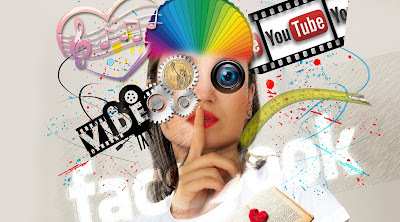 It is also important to know that, you can create a free blogger blog and make money from it with these 5 proven ways to monetizeyour blog. Blogs can be an important tool in marketing when you know what blog marketing is and how to use it well.